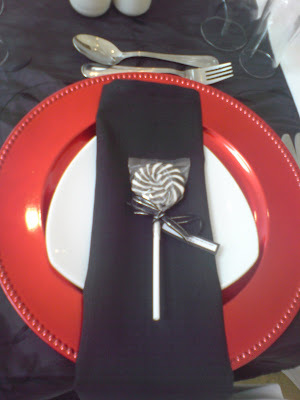 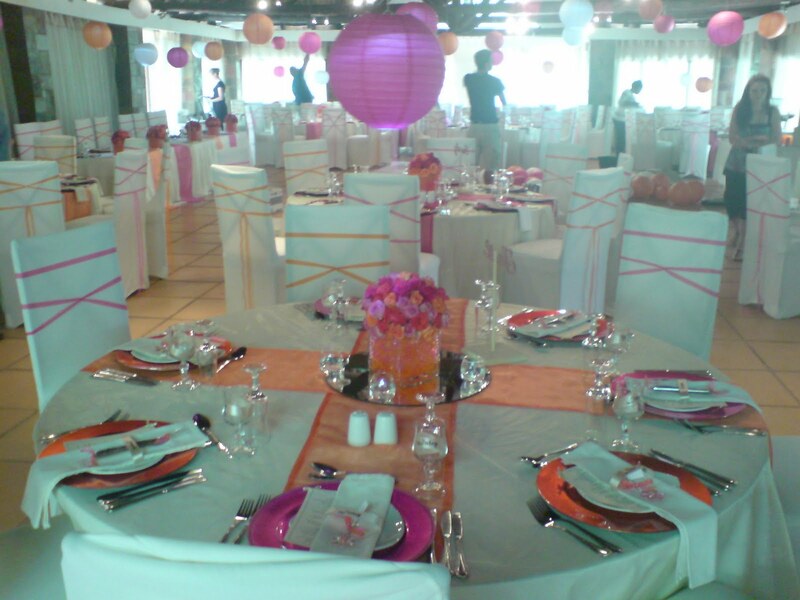 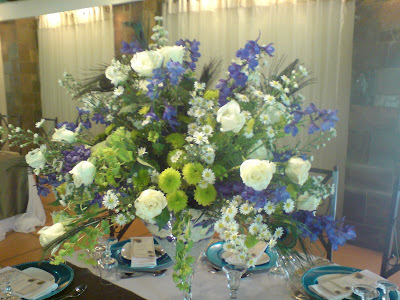 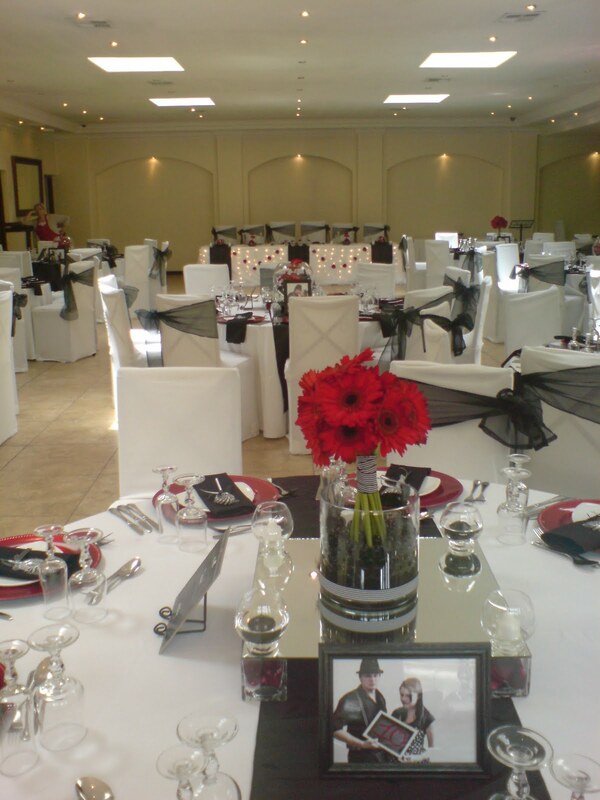 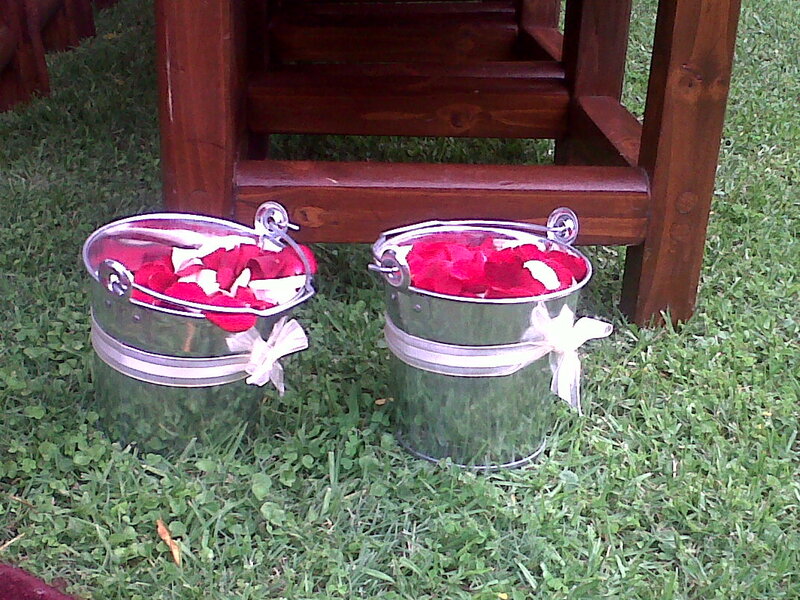 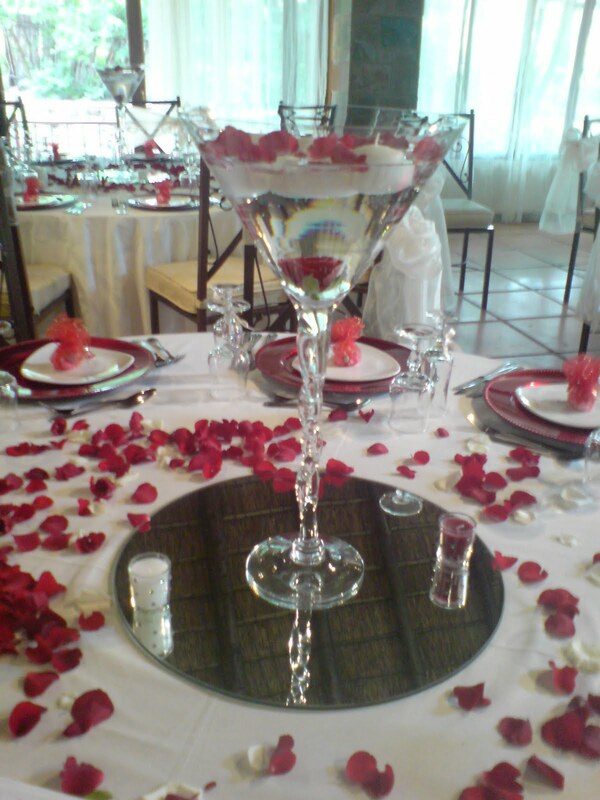 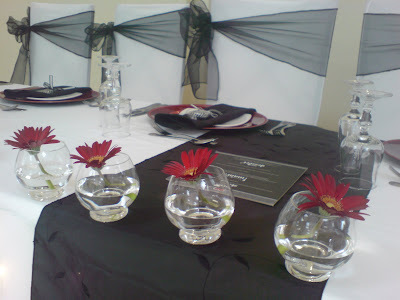 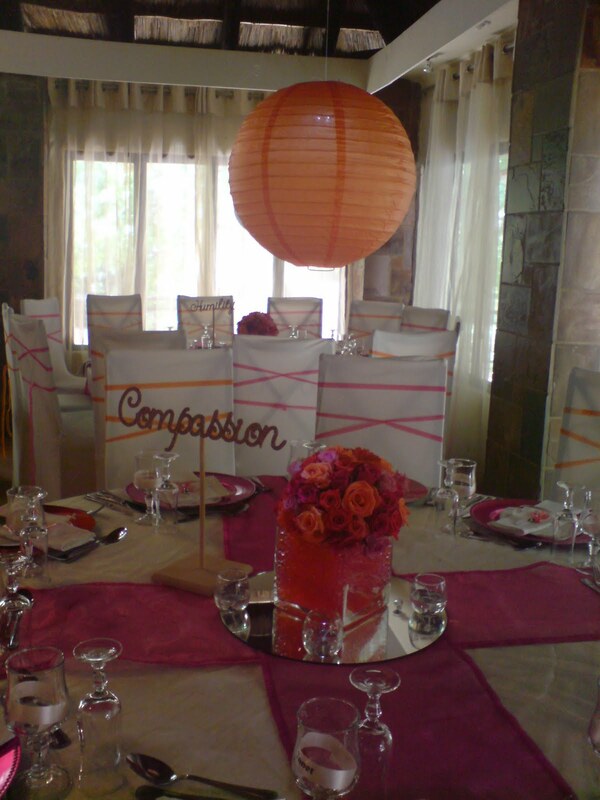 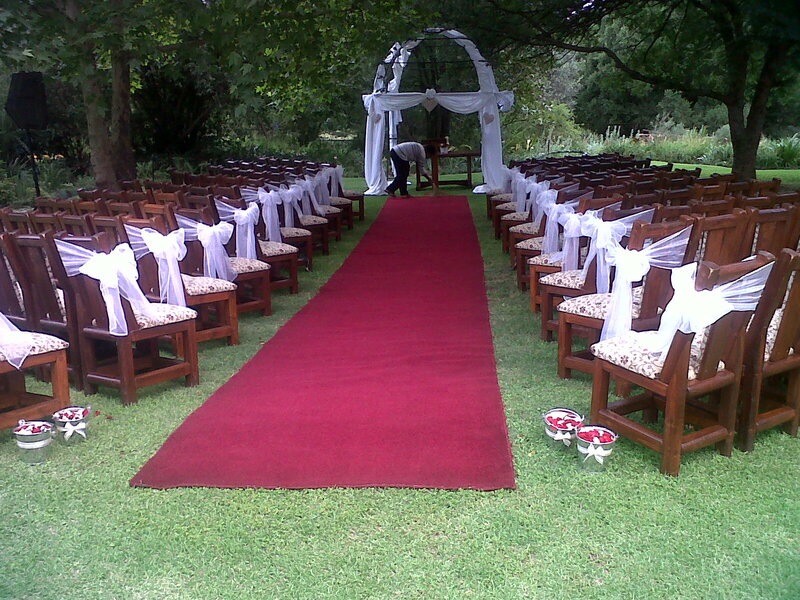 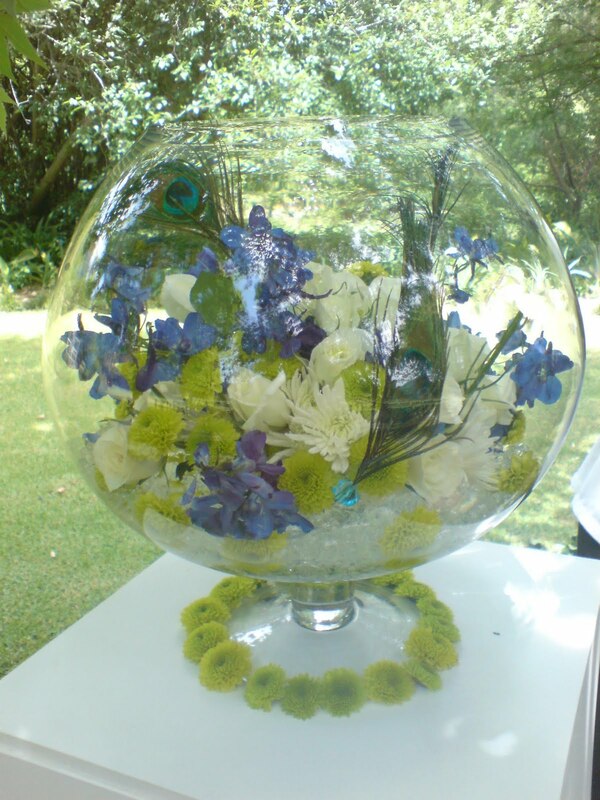 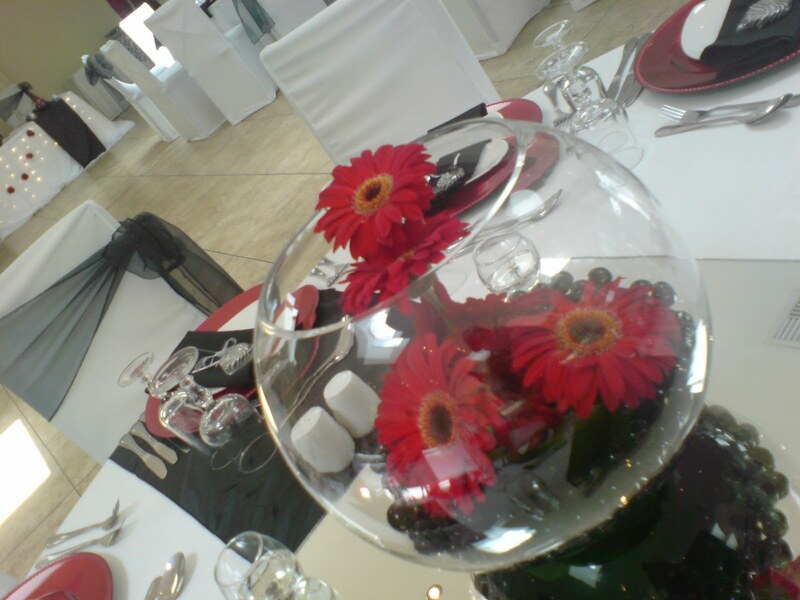 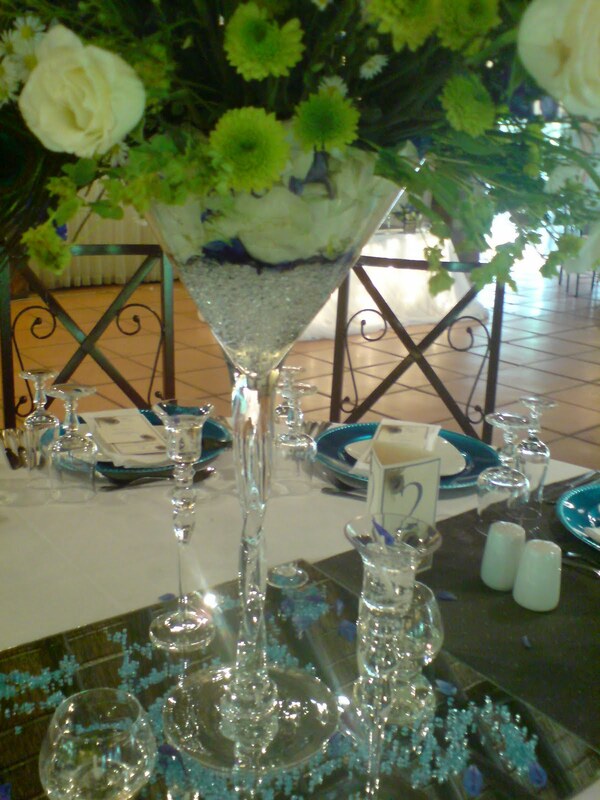 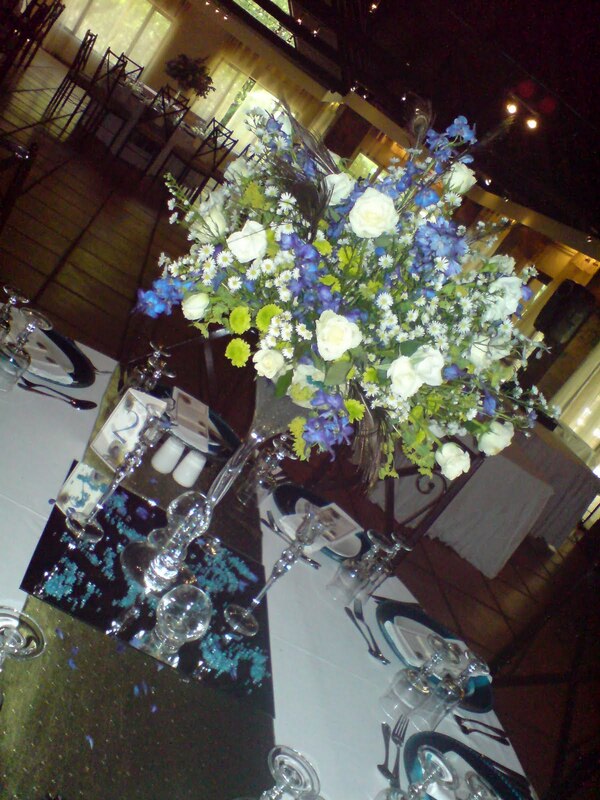 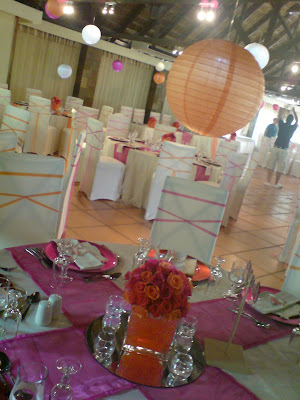 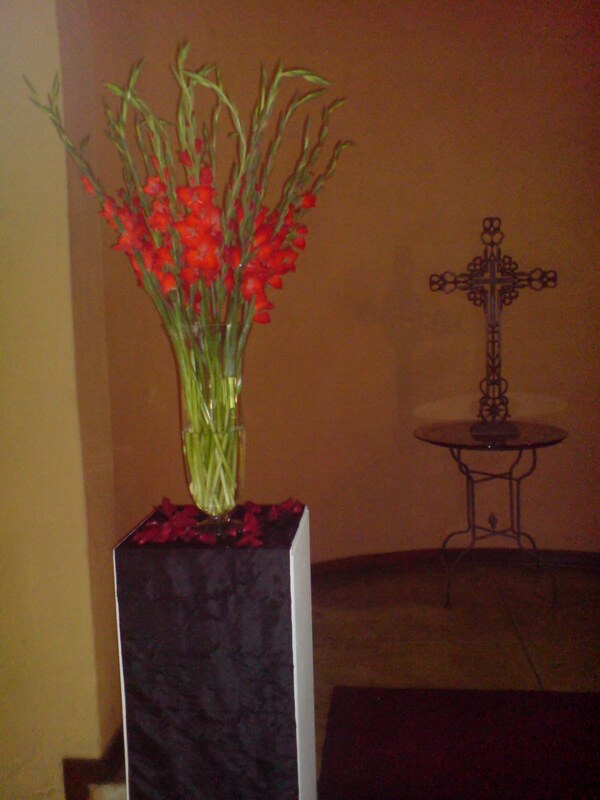 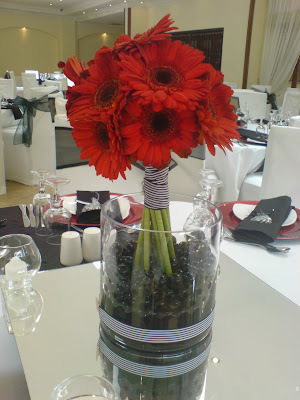 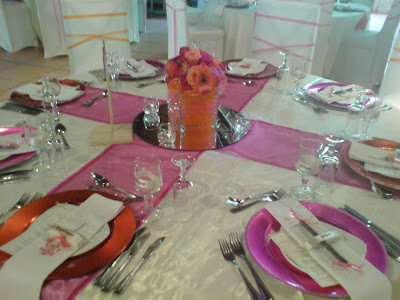 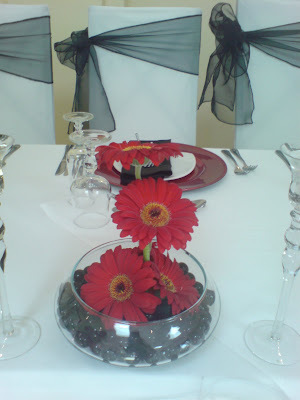 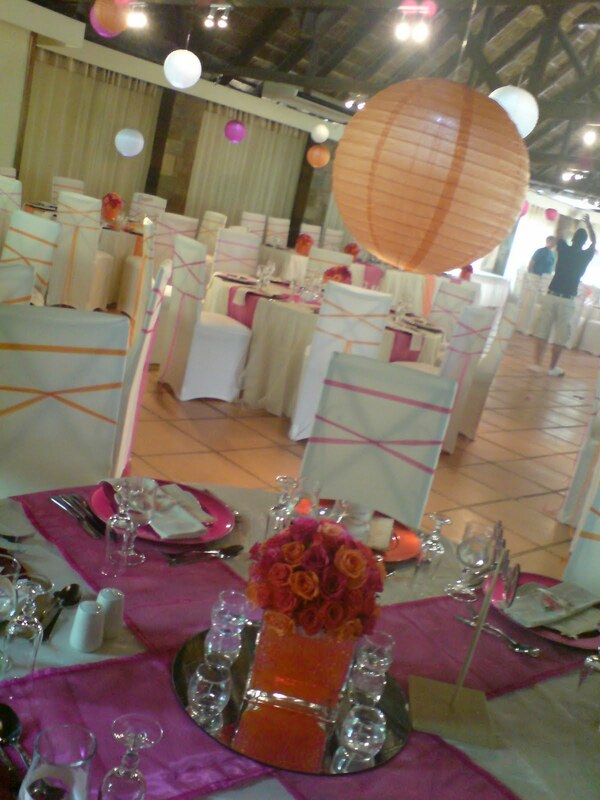 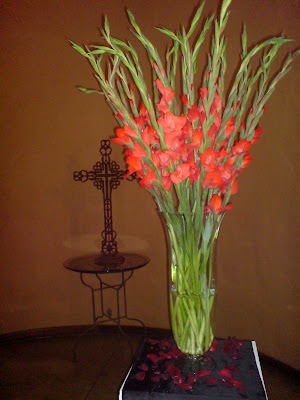 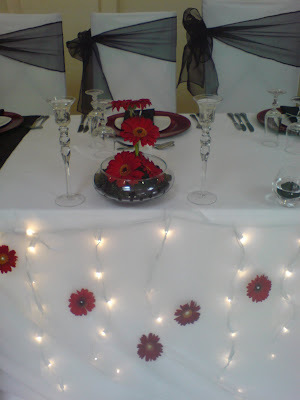 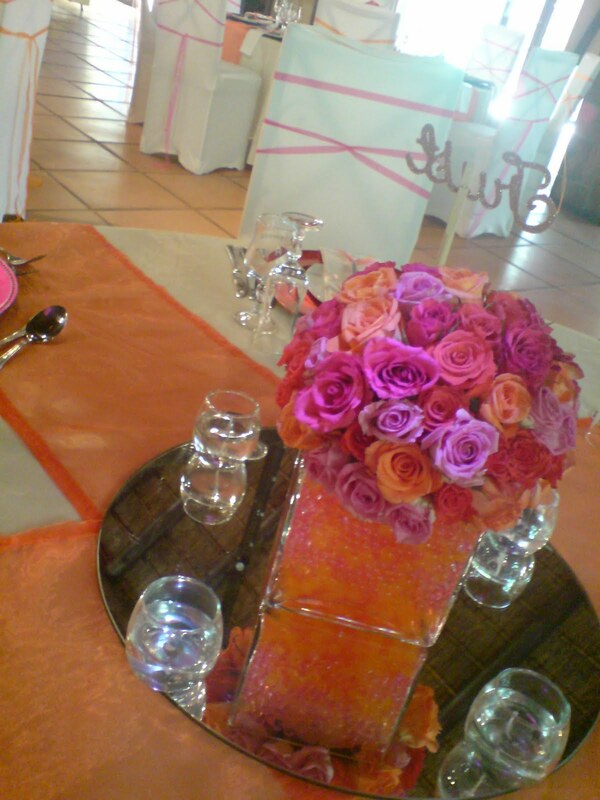 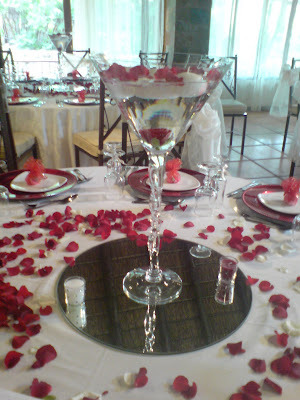 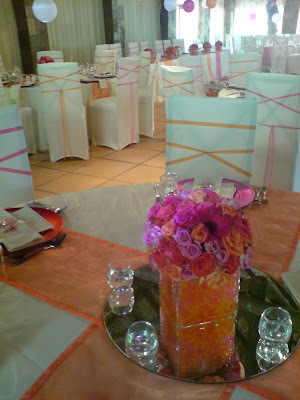 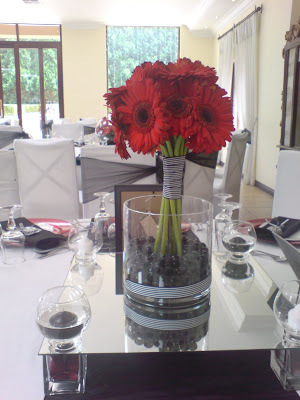 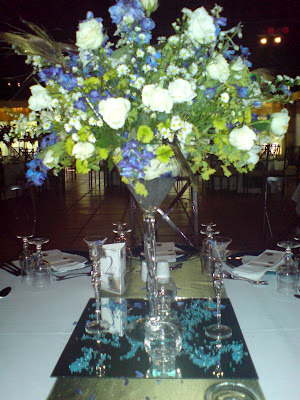 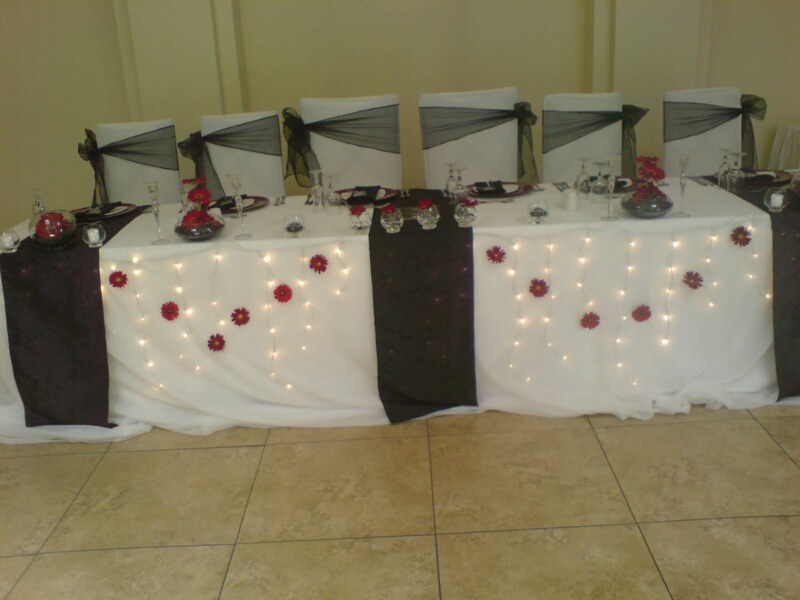 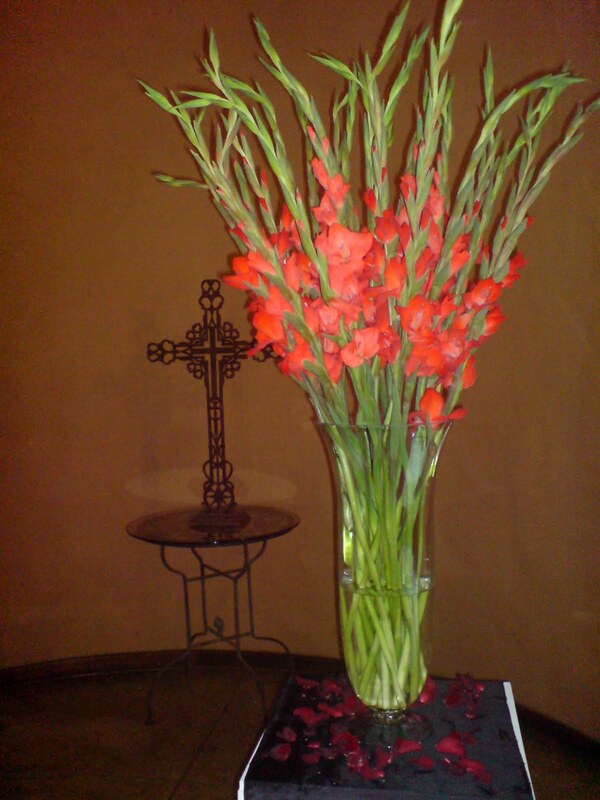 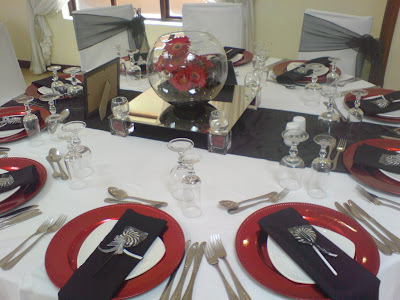 " Black, red and white brought together in a very contemporary way with the funky gerberas and glass vases. 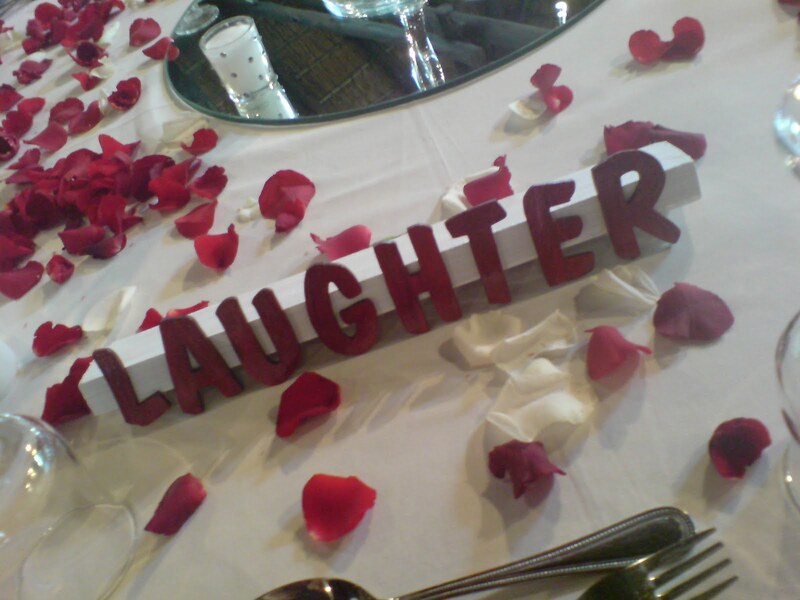 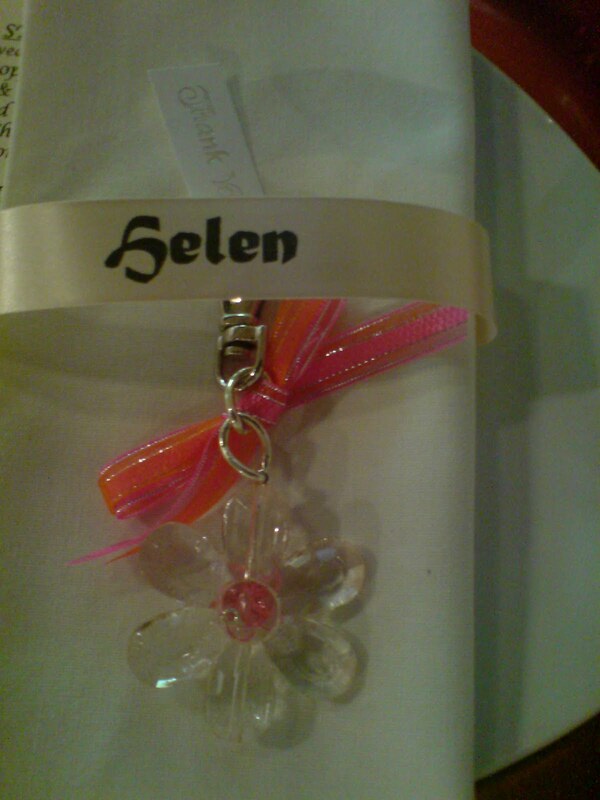 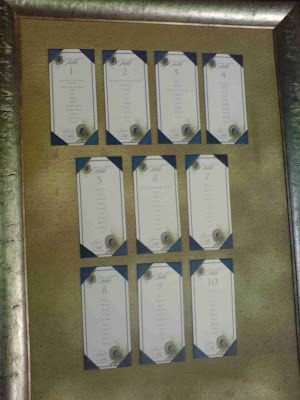 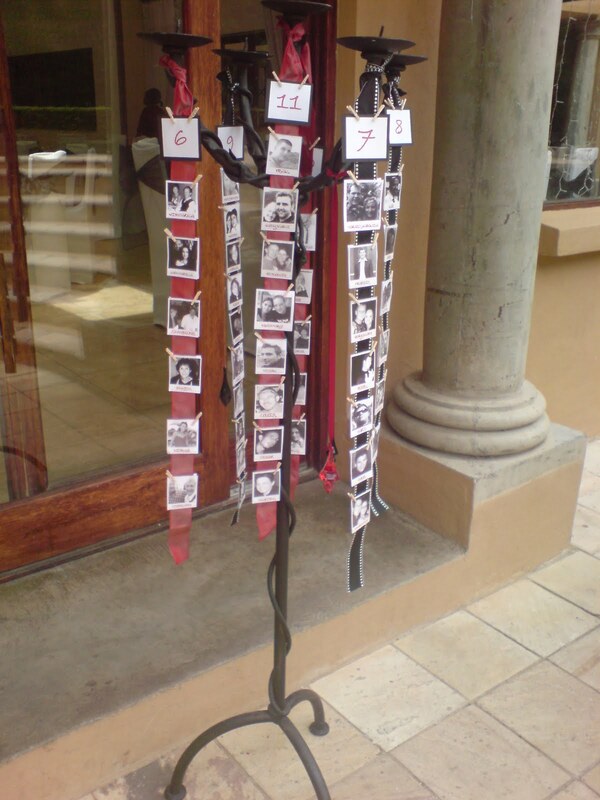 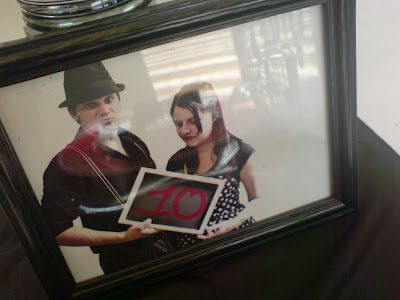 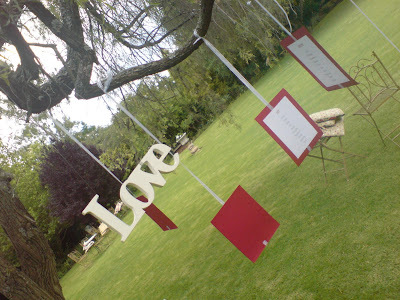 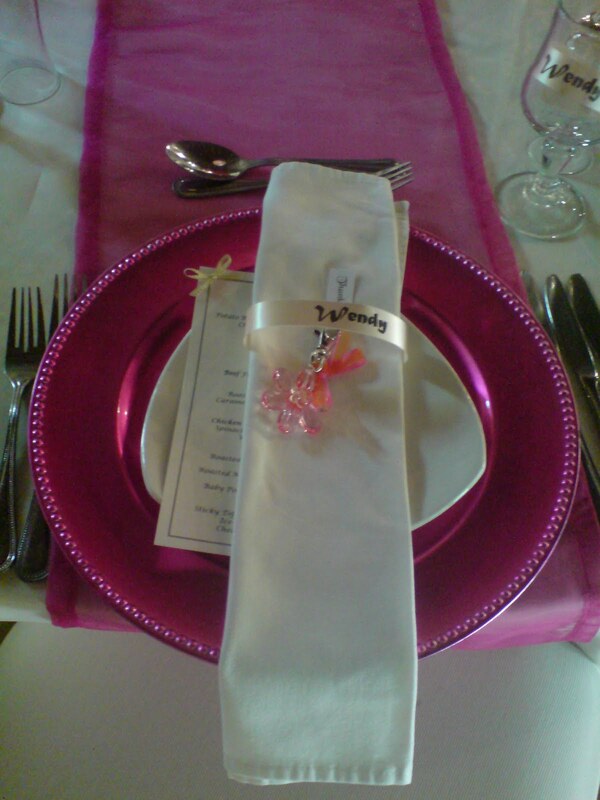 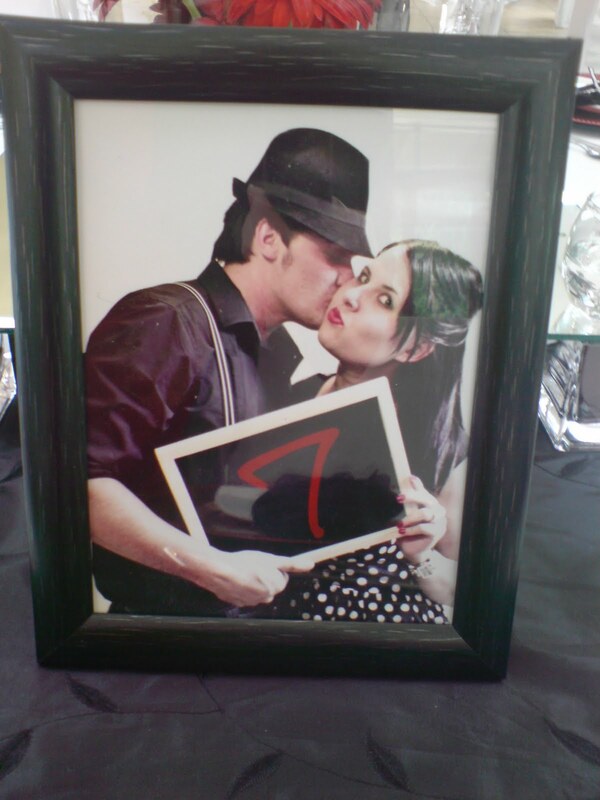 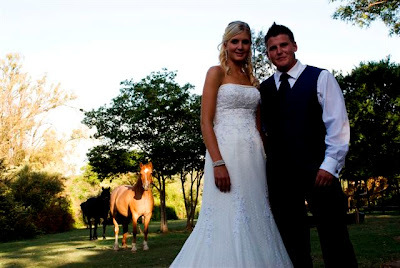 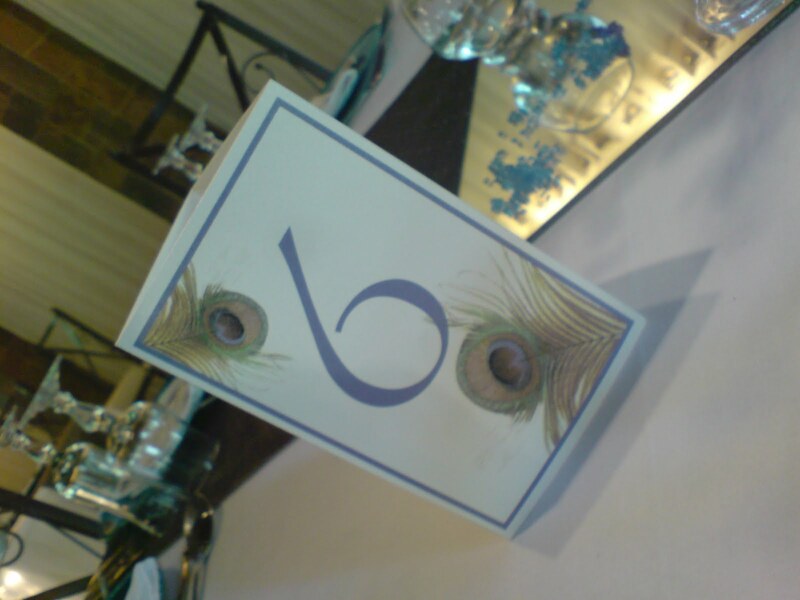 This couple are full of fun and this was seen in their very unique table numbers!!" 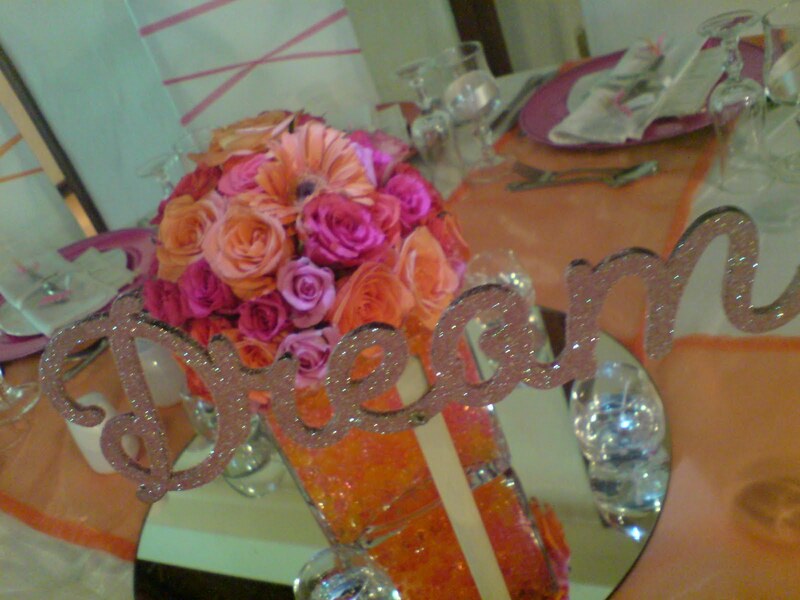 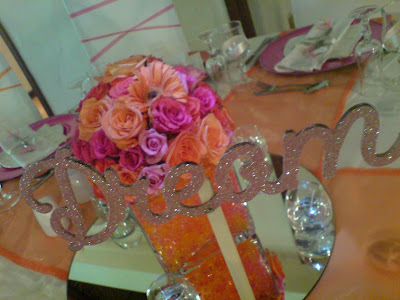 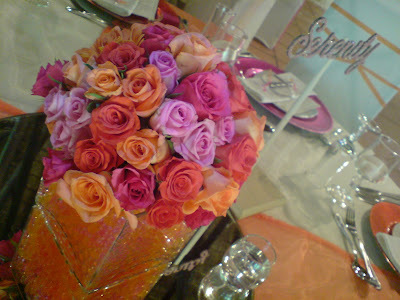 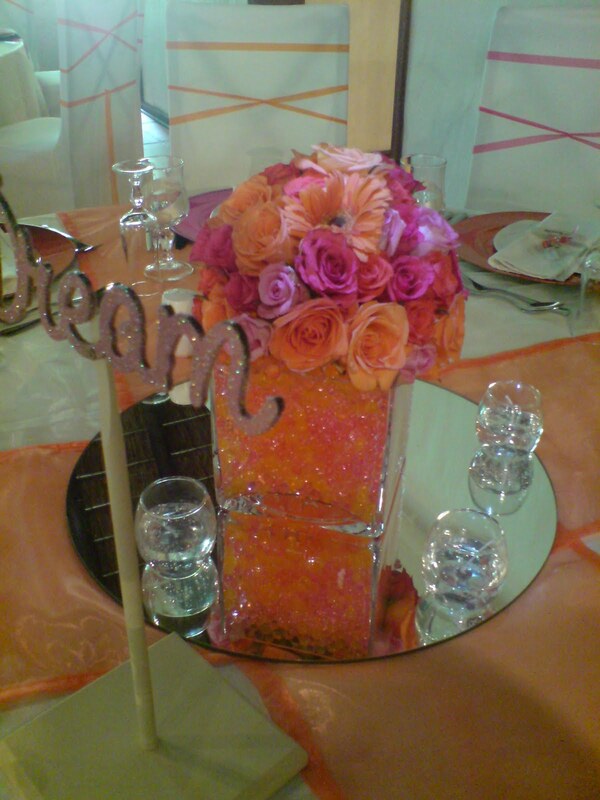 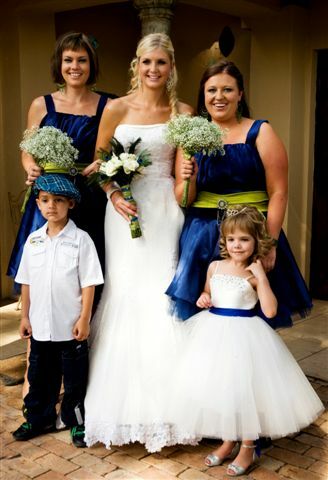 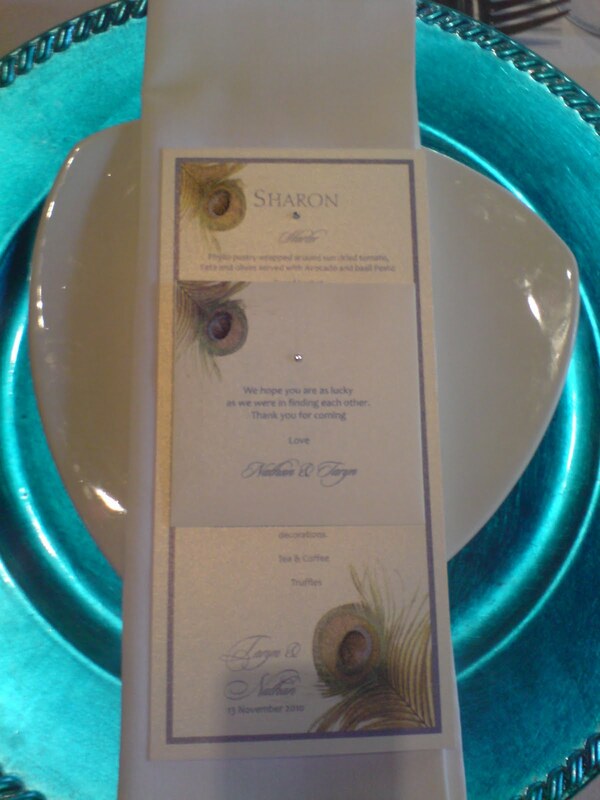 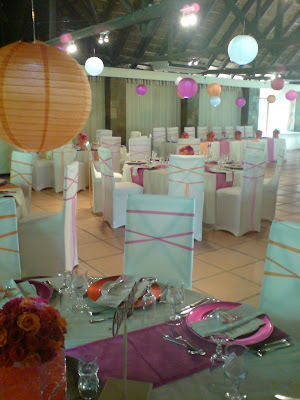 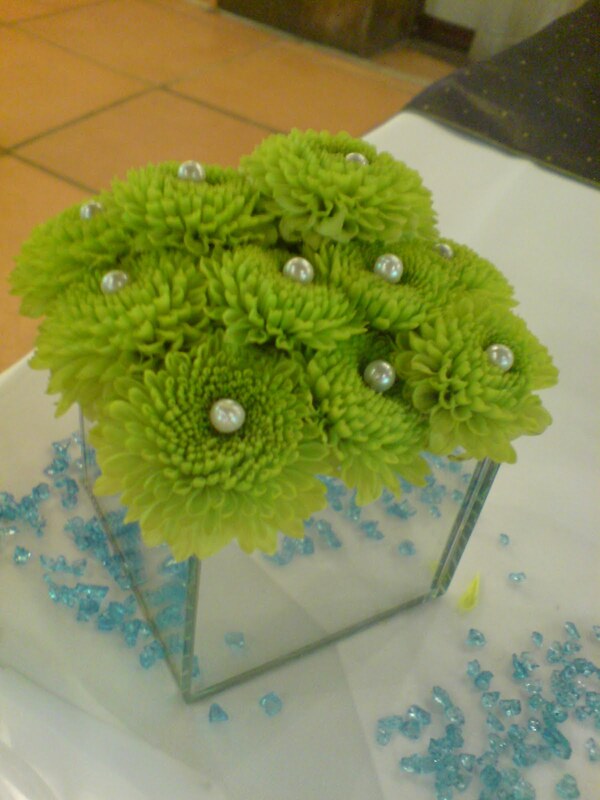 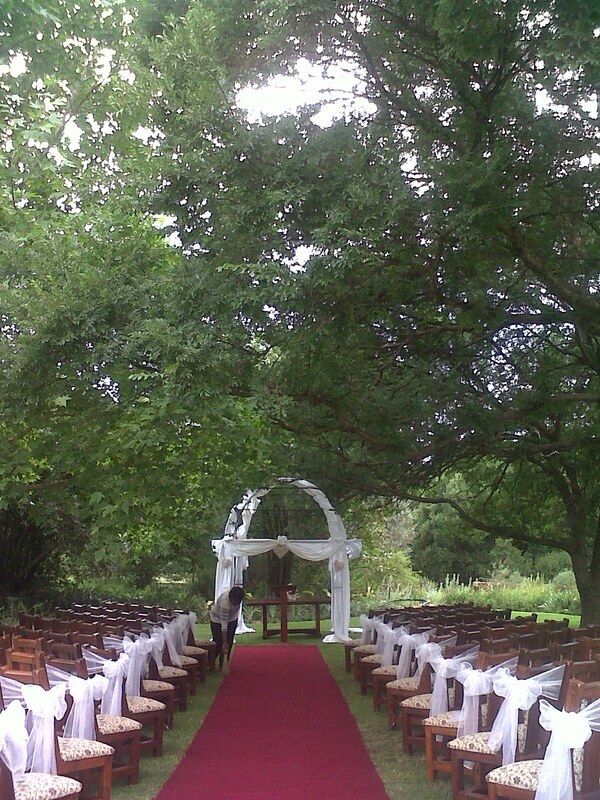 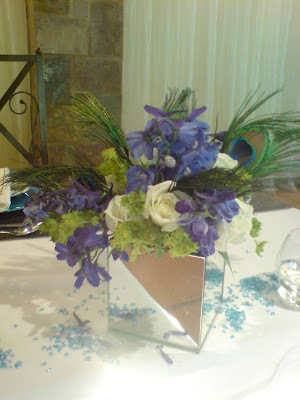 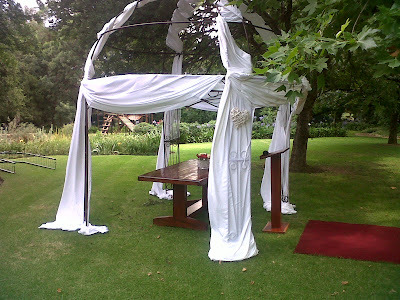 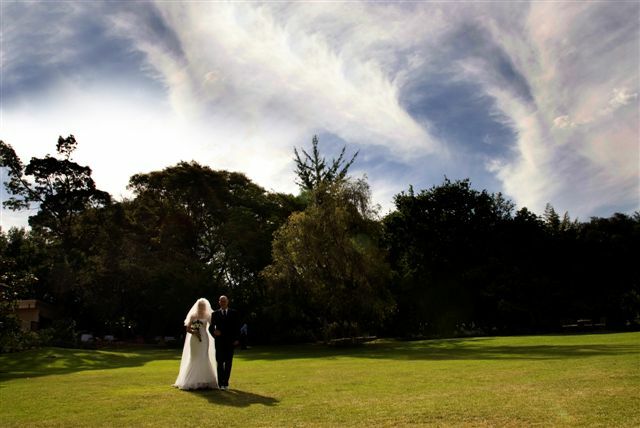 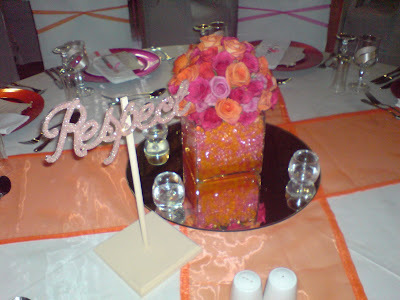 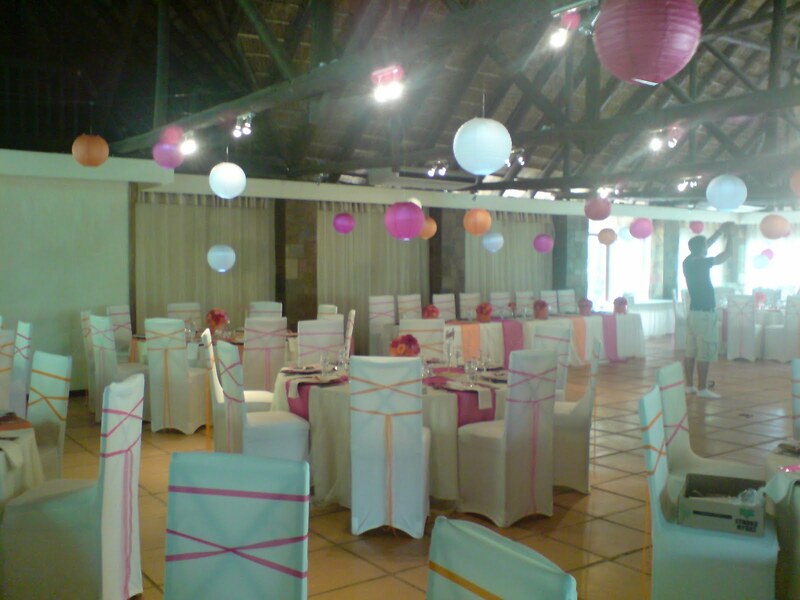 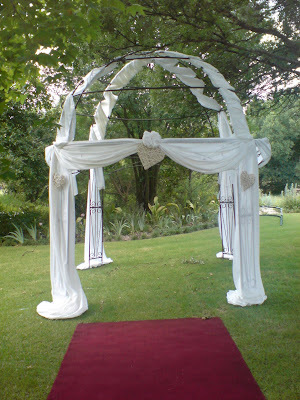 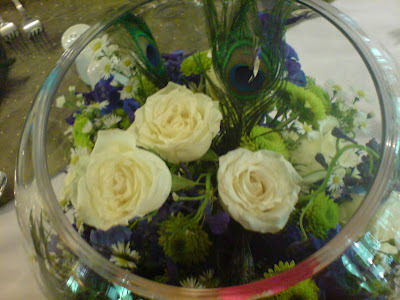 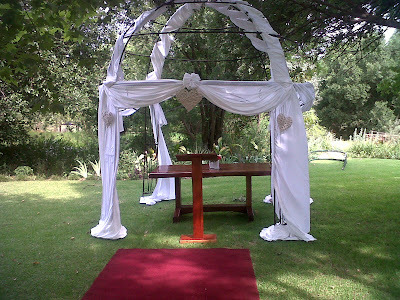 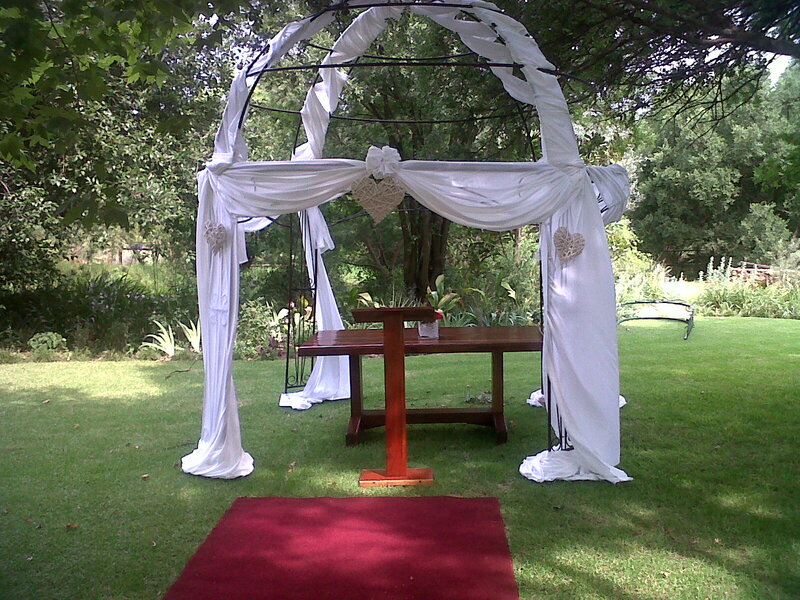 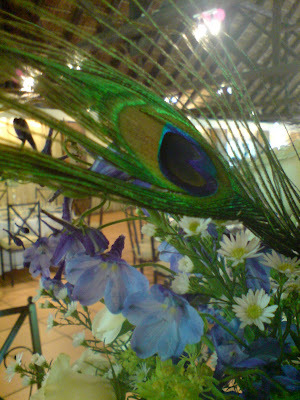 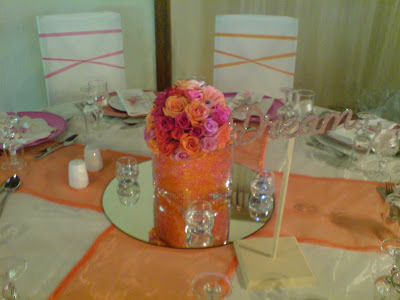 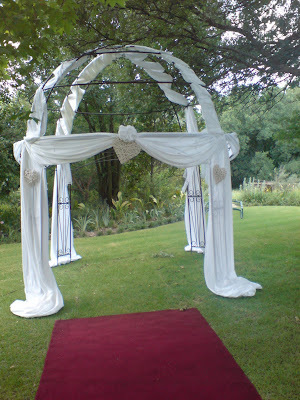 "Peacocks were the inspiration for this wedding decor from the colours to the feather accessories!!"